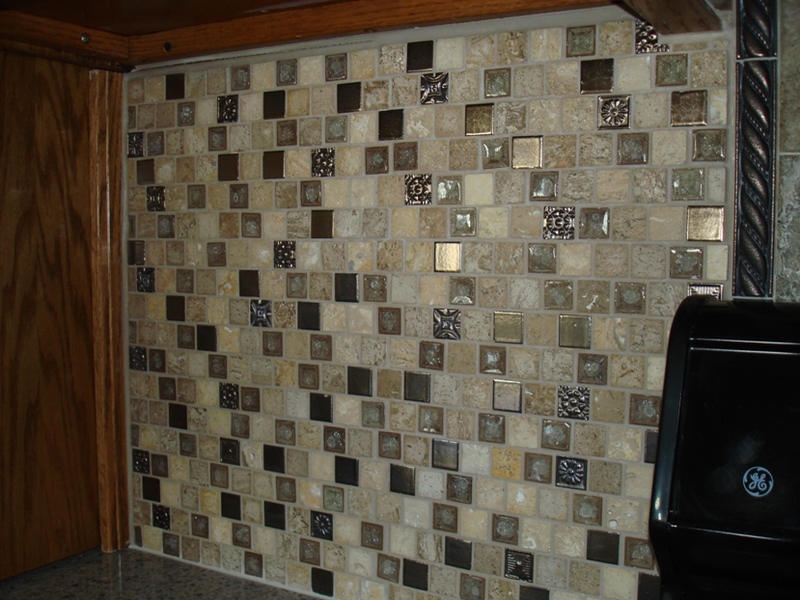 This masterfully wrought mosaic tile backsplash was set and designed to suit the homeowner's idea of a beautiful kitchen. 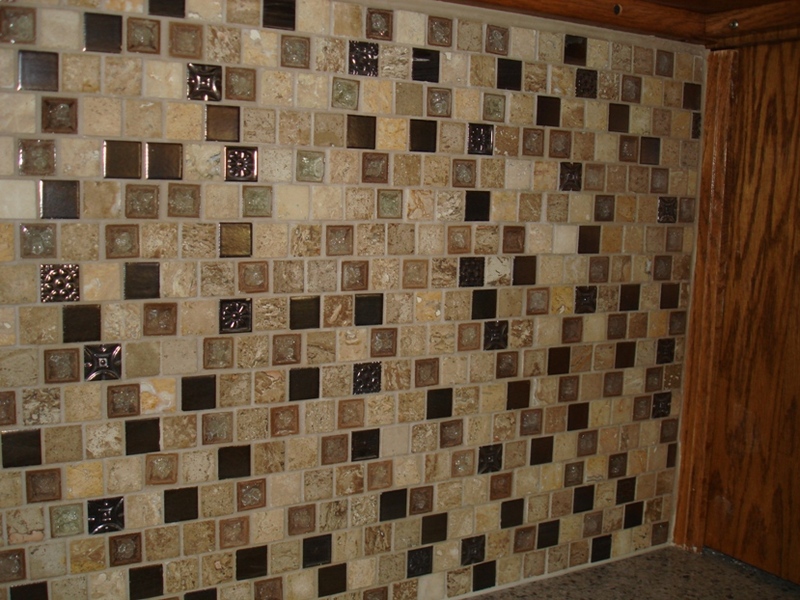 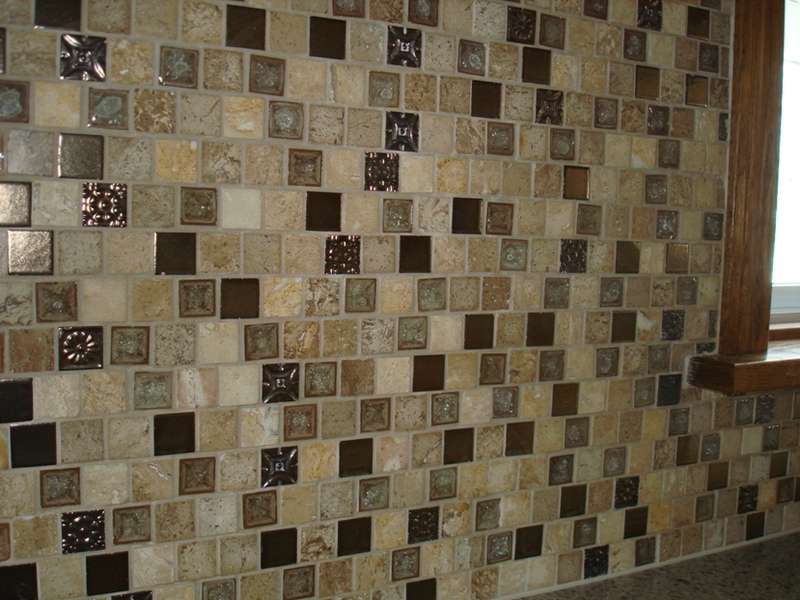 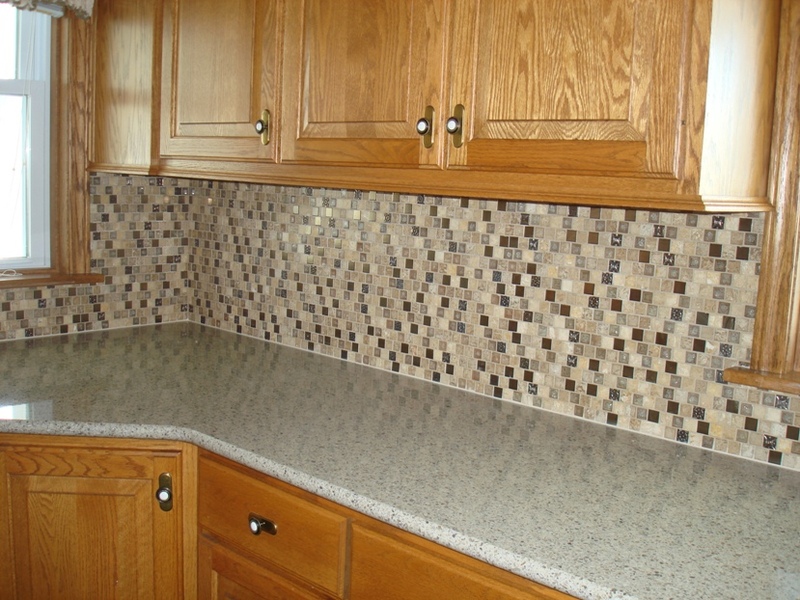 The one inch mosaic tiles bring a certain relaxed busyness to a kitchen, with soothing colors in a semi-random pattern. 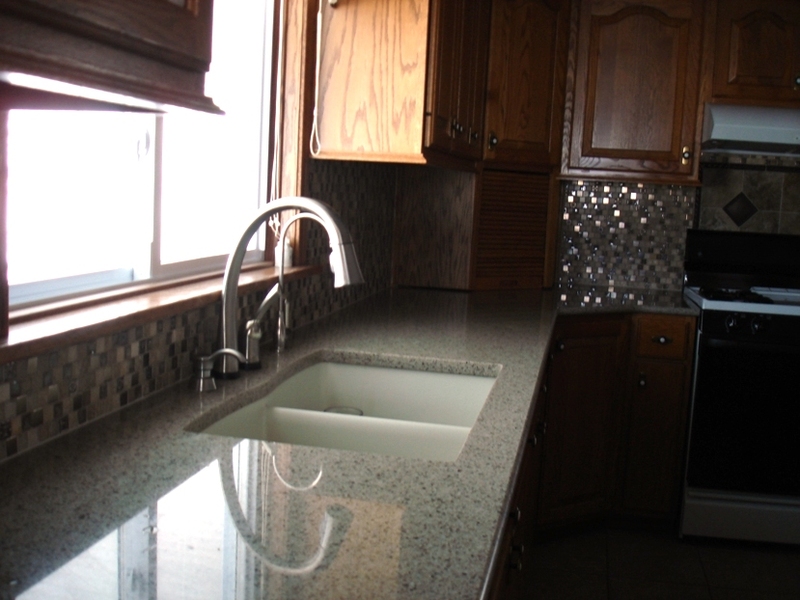 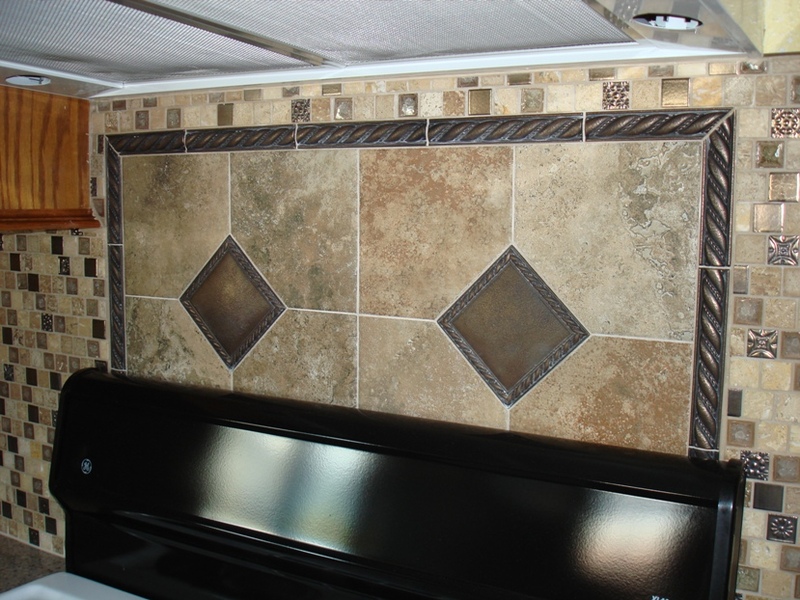 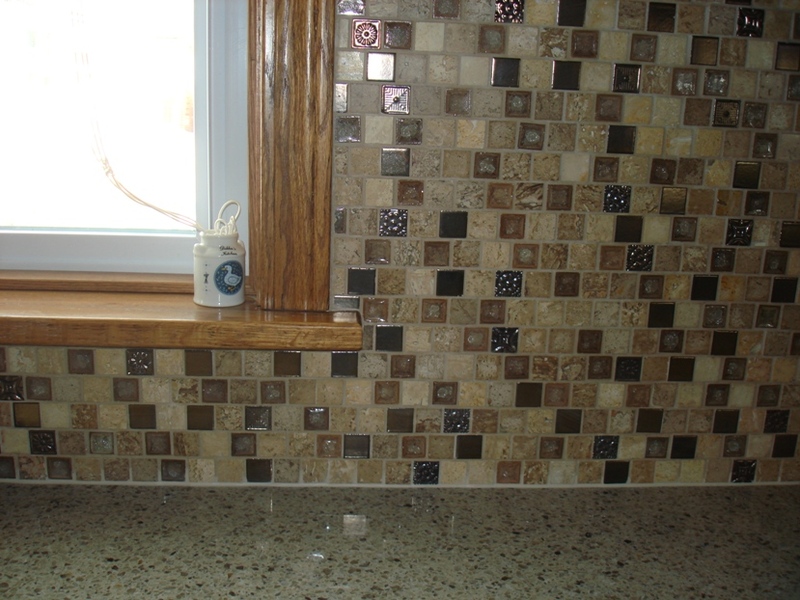 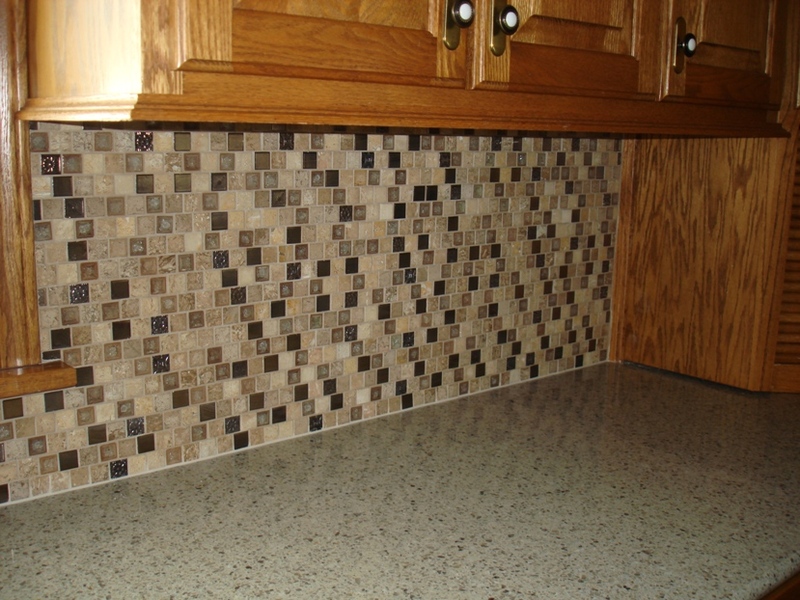 The centerpiece of this backsplash is behind the stove, with a rectangular design of six inch field tiles meshed with four inch metal medallions and a one inch rope border.